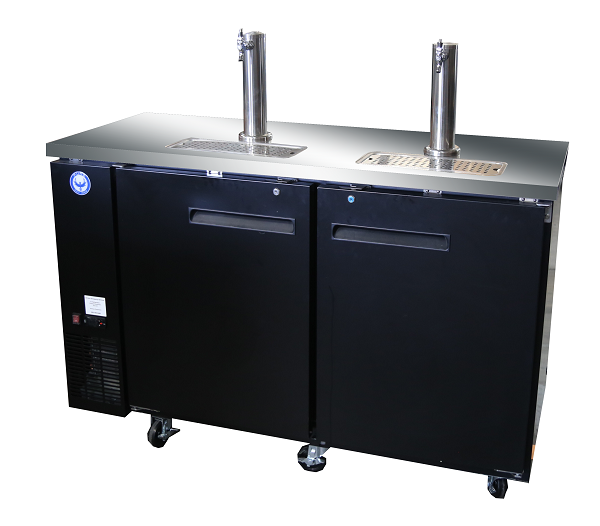 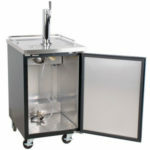 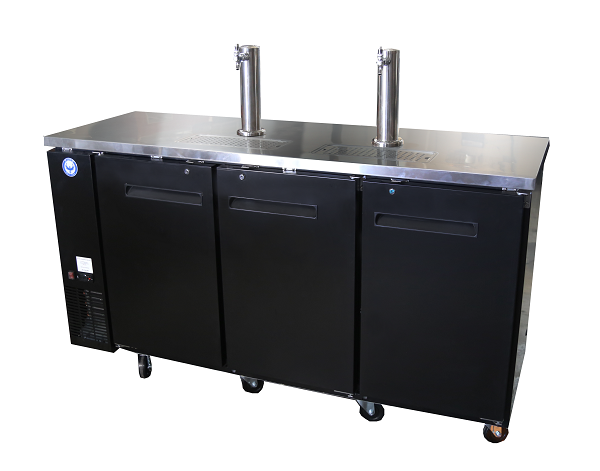 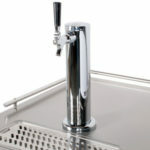 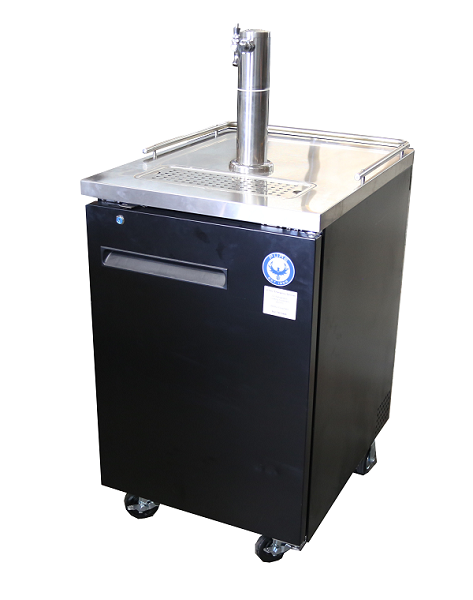 New Commercial Draft Beer Dispenser by PURE Manufacturing of Phoenix AZ, In Stock NOW! 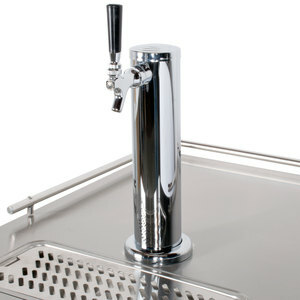 Let our 23″ beer dispenser keep you from dumping big money into an expensive and complicated built-in tap system. This unit has the ability to hold up to 1 ½ keg, and features a self-closing door with locks for added security. 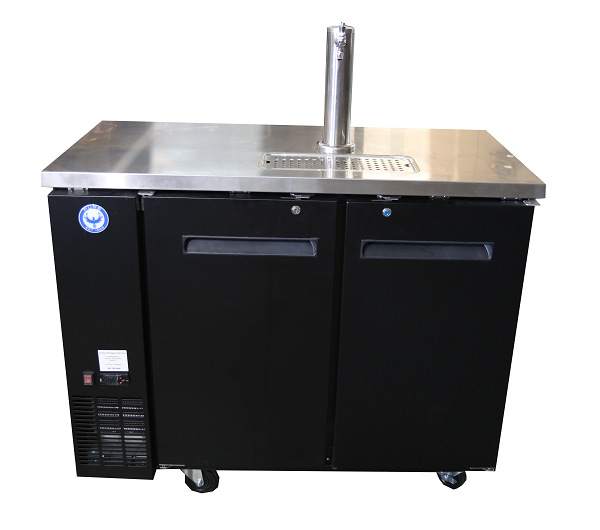 A 16″ high, 3″ diameter tower with a single tap allows you to quickly dispense cool, frosty products for your patrons. 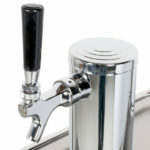 This model even ships with a type “D” system coupler so that you can begin tapping kegs as quickly as possible. 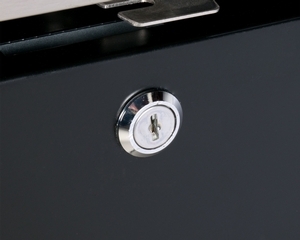 The self-closing door helps conserve energy, and thanks to the lock, you can secure the unit after hours to keep employees or lingering customers from swiping your beer. 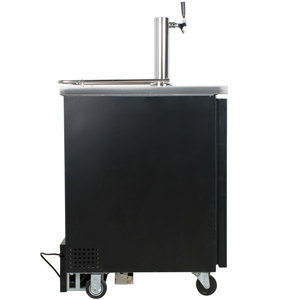 The exterior of the unit is comprised of a strong steel material and features a sleek, black painted finish, while the interior is made with durable 304 series stainless steel. 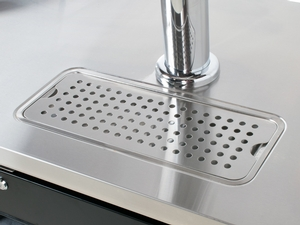 For visual appeal, an attractive chrome guard rail lines the top. 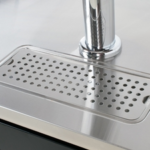 A stainless steel removable drip tray makes cleaning up sticky spills and messes a breeze. 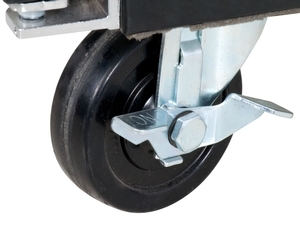 Four 4″ casters ensure easy transportation from event to event. 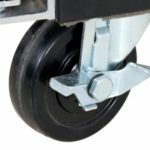 Two of the casters have brakes for when you’d like the unit to remain stationary. 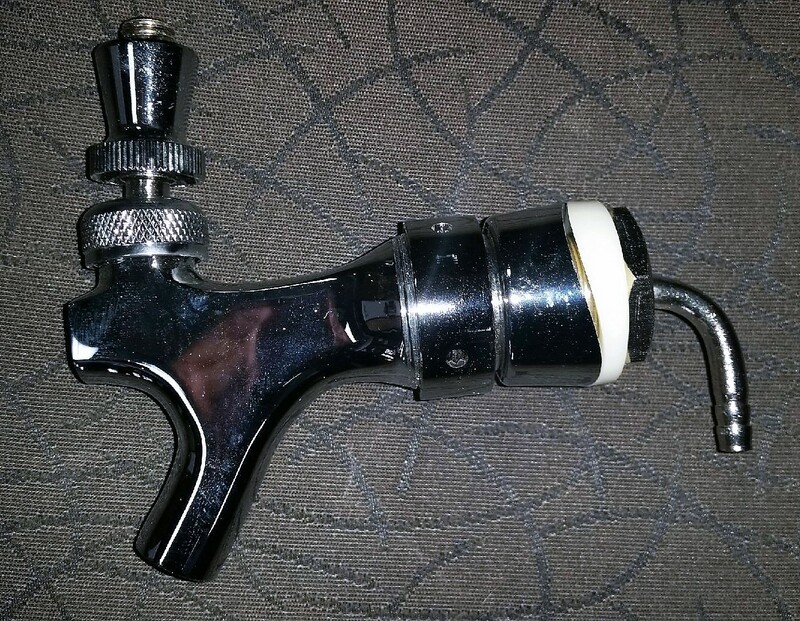 Be the first to review “PDD23 23″ Draft Beer Dispenser” Click here to cancel reply.